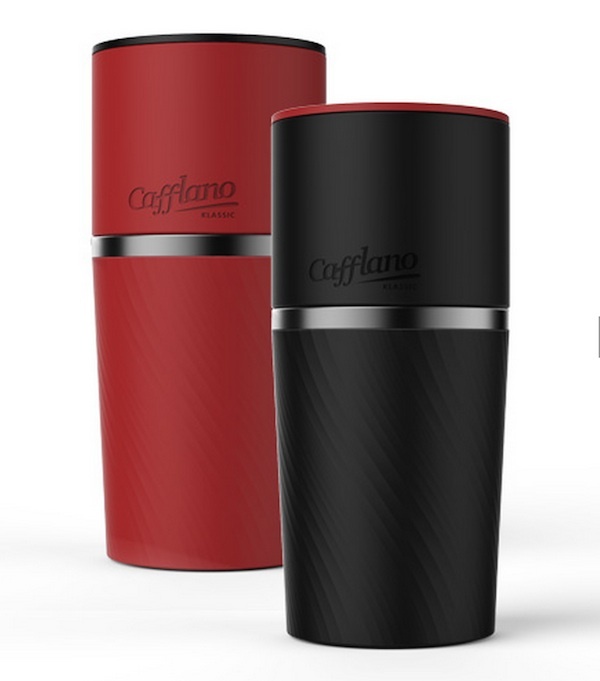 After an unsuccessful fundraising campaign this past summer, the Korean team behind the almost-all-in-one travel pourover mug Cafflano recently eclipsed their funding goal by a wide margin. 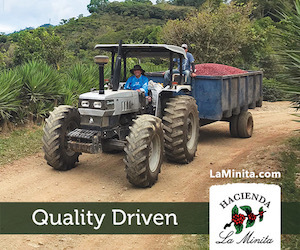 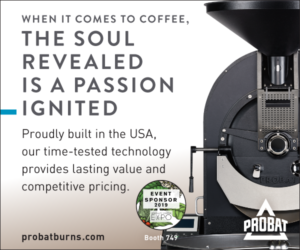 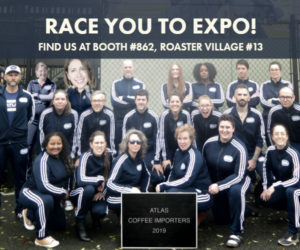 Operating under the name Beanscorp, and led by product developer and entrepreneur Hansang Yoon, the group recently debuted the finished product at the Seoul Cafe Show and CoffeeCon New York, and it has upcoming appearances at the SCAA Event in Seattle (April 9-12), London Coffee Festival (April 30-May 3) and Host 2015 Milan (Oct. 23-27). 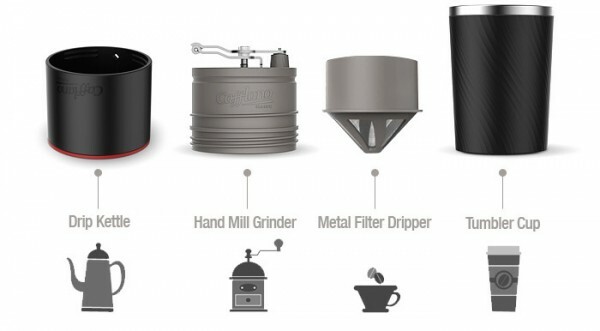 The Cafflano is designed as a simple, portable system for remote or space-saving pourover brewing. 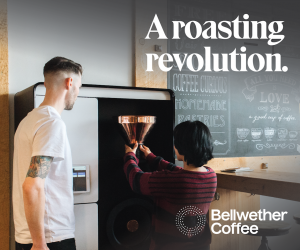 It consists of a tumbler, a reusable drip filter, a hand mill ceramic burr grinder with a folding metal handle, and a top that doubles as a drip kettle through a small opening. Each of the pieces screws or fits snugly into another, creating a single 7.5-inch tall kit that weighs in at just over a pound. 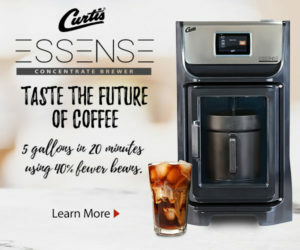 Technically, hot water and coffee are the only other elements required to brew.